It’s no secret that the Bay Area has been losing people over the past few years, but where are they going? 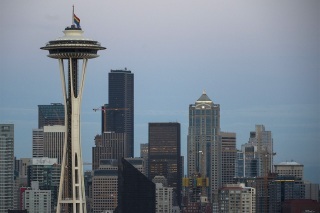 A LinkedIn Workforce Report has revealed that many are moving to Seattle. Based on the data, for every 10,000 LinkedIn members in Seattle, 48.29 workers migrated to the city in the past year from the Bay Area, making it the top city that Seattle has gained the most workers from, followed by New York City and Chicago. The rise in migration may be due to the 90 companies – many coming from the Bay Area – that have opened engineering centers in Seattle. The Bay Area has become complicit in the past year when it comes to gaining workers, adding approximately 8.98 per every 10,000 LinkedIn members, according to the study. Despite the loss, based on LinkedIn’s Workforce study, the Bay Area has gained most of its workers from New York City, Boston and Chicago. Approximately 5.67 workers moved to Bay Area in the last year from the Big Apple.